Waukesha — The yellow jackets are coming! The yellow jackets are coming! Sounds like a call to arms. But for Curt Jepson, known professionally as The Bee Man, the yellow jacket alarm is a major warning. “It will be a very busy yellow jacket season,” Jepson said. Jepson said people begin noticing more of the insects with the black stripes on yellow bodies this summer because of the mild winter. He said fewer queens died during the winter, leading to a profusion of yellow jackets this spring. “The queens hibernate outside in a protected area during the winter,” Jepson said. “When we have bitterly cold winters and long cold spells, a lot of them die. That didn’t happen this year. People who are allergic to stings will become more cautious, Jepson said. “Yellow jackets are very competitive and bold when it comes to feeding. They are the ones that are problems at picnics or around fruit where it has fallen from trees,” he said. Jepson said that people who are allergic to stings can have a painful reaction. The yellow jackets belong to the wasp family. They normally build a paper-like nest that hangs in bushes or trees. Like a “Ghostbuster,” Jepson of Brookfield has cruised the Milwaukee area at night in a yellow ambulance with the words “The Bee Man” printed on the sides. He has collected watermelon-sized nests for freezing and shipment to a pharmaceutical laboratory, where venom will be extracted from the insects to counter stings. Jepson collects as many as 200 nests a season, but this year the lab needs fewer nests because plenty of anti-sting venom is available, he says. Meanwhile, his best advice about yellow jackets is for people to avoid them. He also warned against attempting to battle the yellow jackets in their nesting area. Jepson said nests usually are built in the spring, and the insects start to become active in August and September. 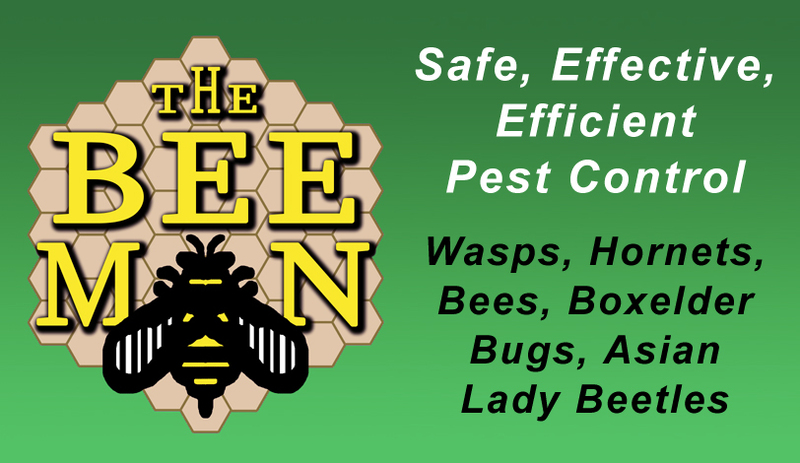 “If the yellow jackets’ nesting area is a hole in the ground or under siding, people should not run out and buy a can of hornet spray,” Jepson said. “What that will accomplish is only to contaminate the hole and plug it up. If you spray the hole, they will stay away from the hole. You have to touch every insect to kill them. He said that if you can’t see the nest itself, spraying may force the insects into your house or living quarters. 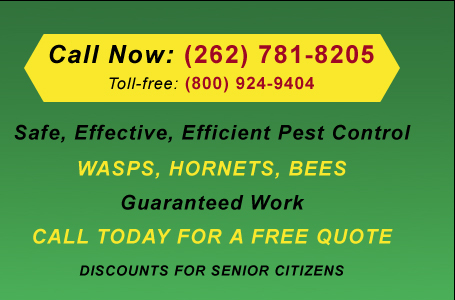 He urged use of a pest control company to eliminate nests.